Gulag (just published by Penguin) is populated by the ghosts of many millions of dead people, the victims first of Lenin’s Red Terror and the early Bolshevik prisons, and later of Stalin’s great network of hellish slave labour camps the length and breadth of the former Soviet Union. It took Applebaum seven years to research and write the book, burrowing among the dead in Muscovite archives, discovering their lumpy mass graves in forests and fields, revealing both the gross extent and the minute detail of their remarkable suffering in life. It is a story of almost limitless misery – of female inmates raped to death, of children torn from their mothers and neglected to the point of starvation, of men tortured until they “confessed” to anti-Stalinist “crimes”, of a dehumanised and brutalised workforce upon whose hard labour the communist project was partially built. It is also a story almost wholly unknown here in the West, where, by grisly contrast, the names of Nazi concentration camps are household words. 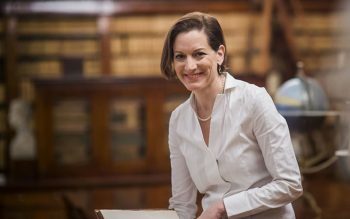 Applebaum, a former columnist for the Evening Standard who now, at 38, writes for The Washington Post, has been an Eastern European specialist all her career – she is married to Radek Sikorski, until recently Poland’s deputy foreign minister – yet even she was unaware of the size and scope of Stalin’s “camp-industrial complex”. It is still impossible to say how many people died in the camps of Soviet Russia – Applebaum’s book quotes various estimates from 10 to 20 million. Yet, “in terms of numbers,” she says, “the Soviet system certainly killed more people than did the Nazis, partly because it was there longer. The Nazi experience was a short, extremely brutal 12 years, and the Soviet experience lasted more or less throughout the 20th century. That does not mean to say that life was “better” as a prisoner of the Russian regime – if one can classify relative levels of inhumanity – nor that entire camps did not die of starvation, say, simply because a prison commandant had not organised regular deliveries of food. Applebaum had two children while she was writing and researching the book – Alexander, now five, and Tadeusz, two – and perhaps inevitably found “the details about women and children the most disturbing” of all her discoveries. There is, for example, the tale of political prisoner Hava Volovich who gave birth to Eleonora in a camp in 1942, but was forced to give her up after a year to a brutal camp nurse, who looked after 17 children. Unable to protect her daughter, Volovich watched Eleonora fade and die within four months, her emaciated body covered in bruises. Other children, separated from their mothers, became lost in the system and were never found again; few could read, some could not speak. Special “children’s camps” were eventually established: “Children were picked up off the street in mass raids and sent to the colonies to be educated and prepared for the workforce. Her researches have led her radically to reappraise some of the most basic historical assumptions made in the West. There are many reasons why Soviet camps like Solevetsky and Vorkutlag, Dalstroi and Vyatlag, have been airbrushed from 20th century history: Stalin was our ally in the Second World War; the communist project was perceived as an ideologically attractive experiment to many within western European labour and trade union movements. “World War Two is still remembered in Britain and America as a wholly just war,” Applebaum says, “the one war in which we did nothing wrong. It’s very difficult for people to understand that we fought a war against one genocidal dictator with the help of another genocidal dictator, and that we liberated the camps of Nazi Germany while allowing the camps of Stalin’s Soviet Union to expand. The Cold War, on the other hand, was “one of the great achievements of the West,” she says. “The Soviet system was a criminal system, and Stalin wanted to spread it around the world.” It’s her hope, therefore, that the experience of those imprisoned within the Gulag “will become part of our popular memory of the 20th century”. Worryingly, it’s becoming harder, not easier, to access Moscow’s longhidden archives and in Russia “there’s no national debate” about the Gulag at all. 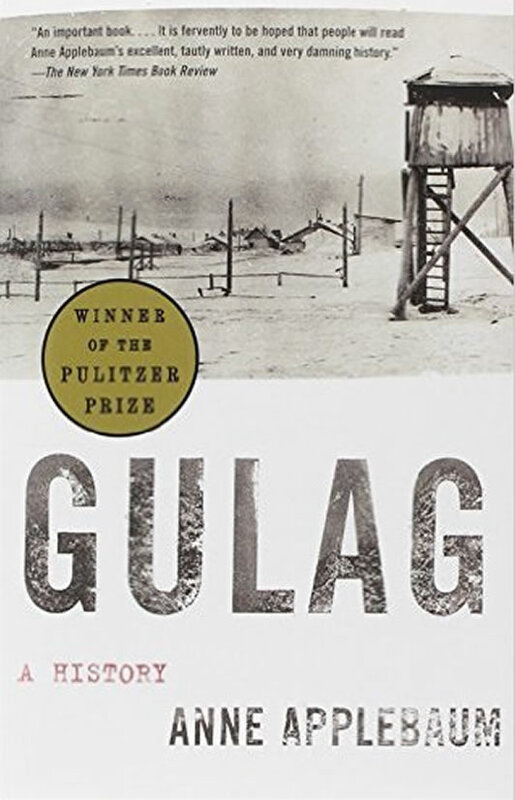 “You only have one life,” says Applebaum, “and to be told that you’ve lived it within a worthless or even criminal system isn’t something people want to hear.” To understand the Gulag, however, is also to understand something horribly important about the human psyche, she says. Torture cells, the dehumanisation of one’s victims, racial segregation and oppression – as journalists move freely about another country once tyrannised by a totalitarian regime, our nightly news bulletins have featured them all.